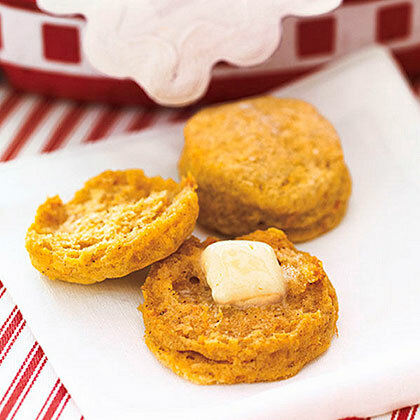 Swear off canned biscuits for good with this recipe for Lazy Biscuits. 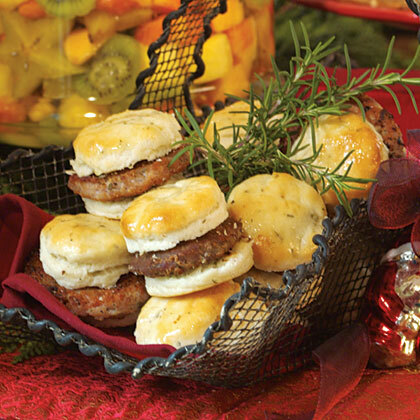 No rolling or cutting required with this easiest biscuit recipe ever. 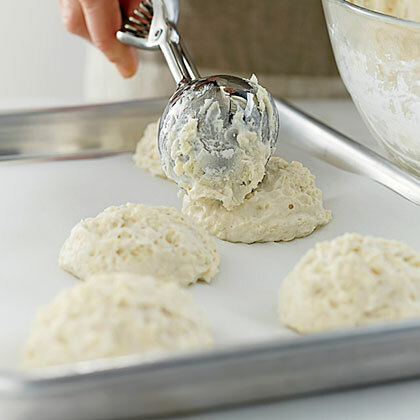 These easy homemade biscuits require just three ingredients: shortening, self-rising flour, and milk. This is better than any drive-through breakfast item. 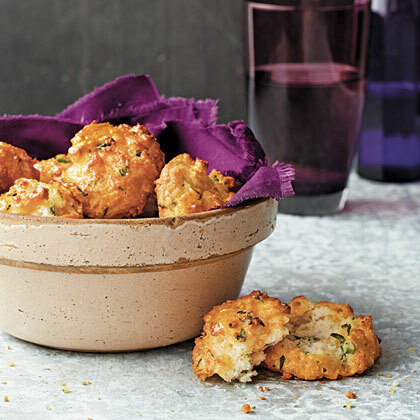 We love the time-saving convenience of frozen biscuits. Save even more time by spreading these with your favorite store-bought jam for a savory-sweet combo. 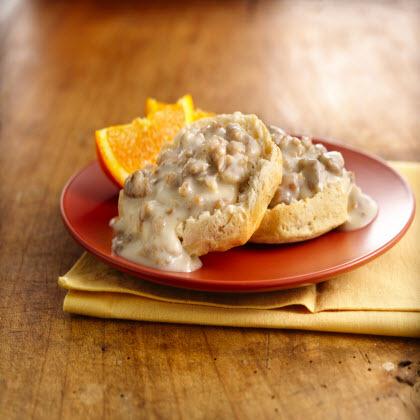 Simple gravy with sausage served over Pillsbury® Grands!® biscuits for the biscuit lovers in your family. Buttery, flaky, and golden-brown . . . 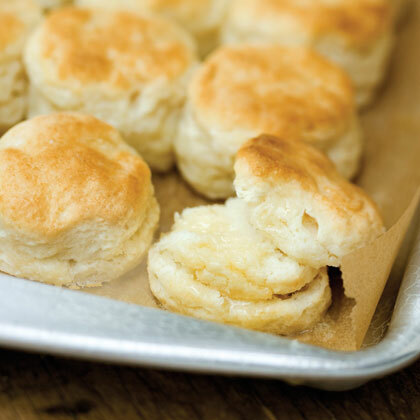 There's nothing quite like a straight-from-the-oven biscuit. 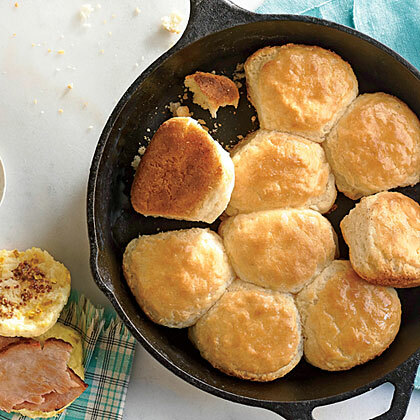 A staple recipe that every Southerner should master, biscuits can be served for breakfast, lunch, dinner, or even dessert and are sure to bring back heartwarming memories of Grandma's table. 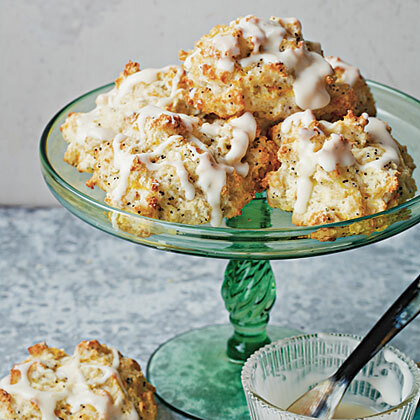 Brown rice flour is mixed with neutral-tasting white rice flour and tapioca flour to give these biscuits a slightly nutty flavor that complements the almonds and strawberries. The end result is biscuits that have the flavor of strawberry shortcake with almonds stirred in for crunch. Delicious. The bottoms will end up crunchy and golden brown and provide a sturdy base that holds up to a smothering of sausage gravy. 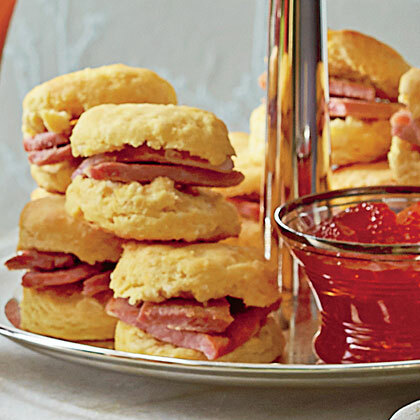 Serve these from-scratch biscuits warm with butter, honey, and jam, along with two platters--one with seared slices of country ham and pepper jelly and another with deli ham and pimiento cheese. 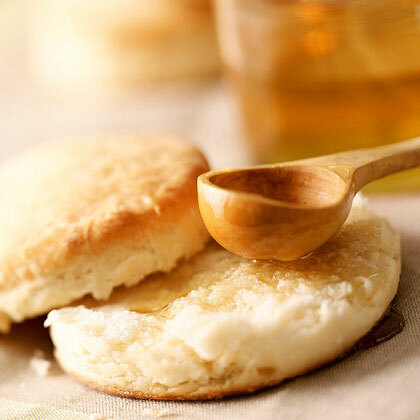 Tapioca flour, white rice flour, and potato starch are lighter, starchier flours that produce a lighter, airier baked good, which is ideal for biscuits. They're also neutral tasting, which allows the flavor of the other ingredients to shine through. 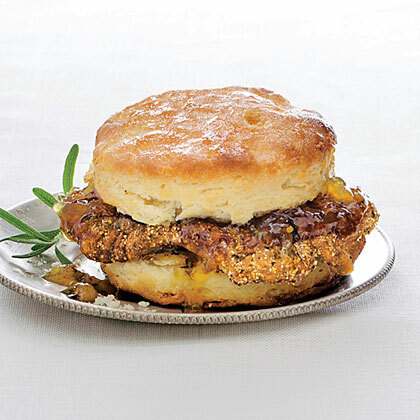 These flaky, buttery biscuits are a great addition to the breakfast or dinner table. 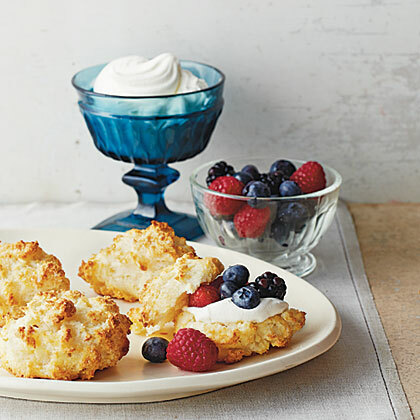 You can even serve them for dessert: Just slice them in half and fill them with fresh berries and whipped cream. 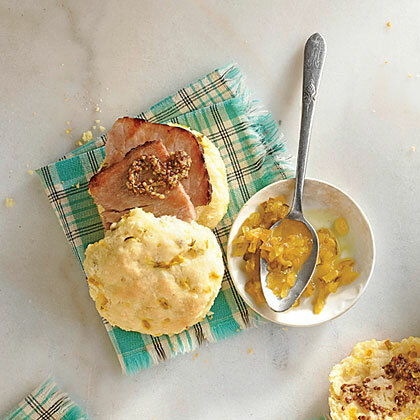 This versatile biscuit recipe only takes five ingredients to make. For a flavor kick, try one of the four recipe variations. 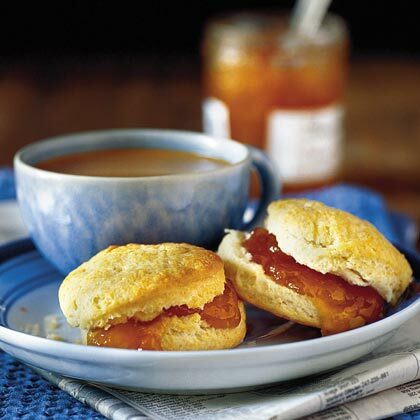 These tender, old-fashioned biscuits are much lower in fat and sodium than fast-food biscuits and are just as tasty. 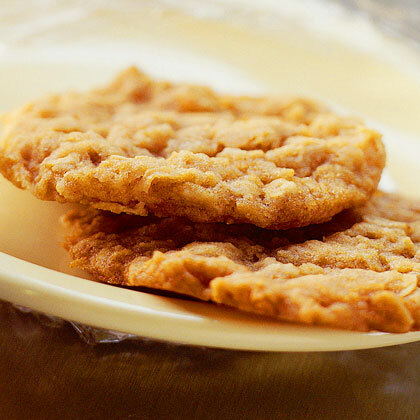 An anzac biscuit is an Australian cookie ("biscuits" down under)and is sure to be a hit. 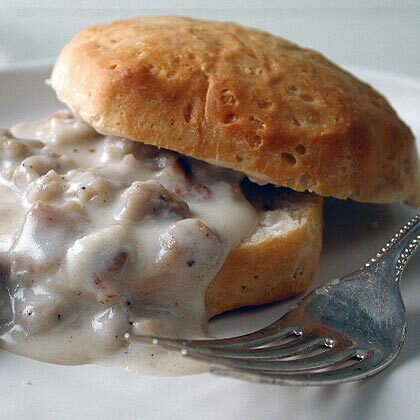 This Biscuits and Vegetarian Sausage Gravy recipe puts a surprising but delicious twist on a classic Southern breakfast. Vegetarian sausage has a firmer texture than pork sausage. Crumbling it helps distribute it evenly throughout the gravy. This quick breakfast has 3 grams of soy protein per serving.